One of my friends is having a baby girl, due about a month after mine. 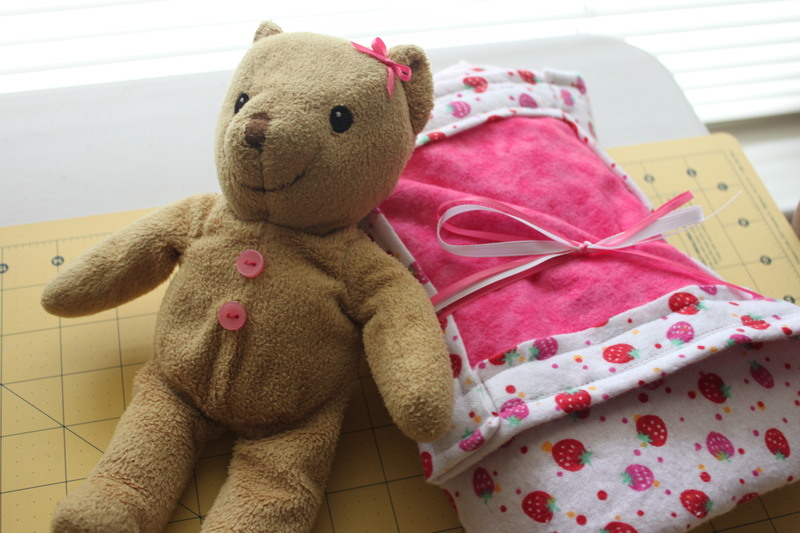 Her baby shower was this past weekend, so I made her a baby blanket & teddy bear to match. 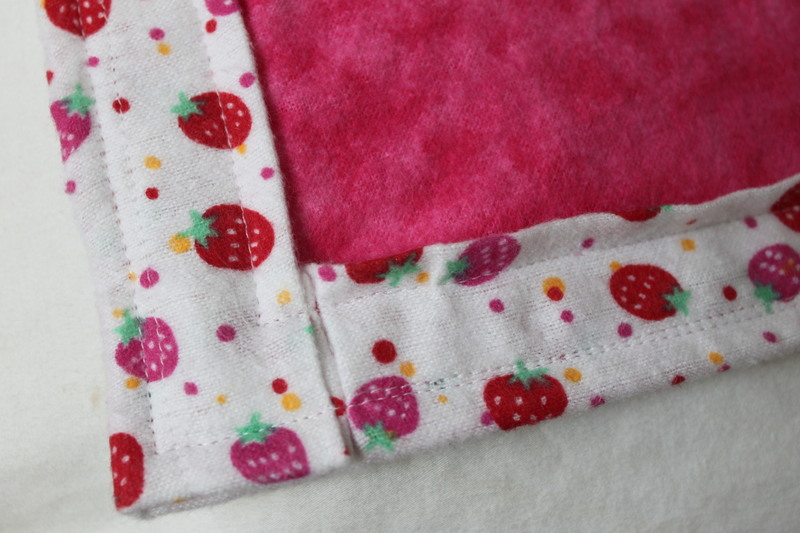 I sewed around the edge twice to add a little more of a finish to the edge than a simple turnover would give it. 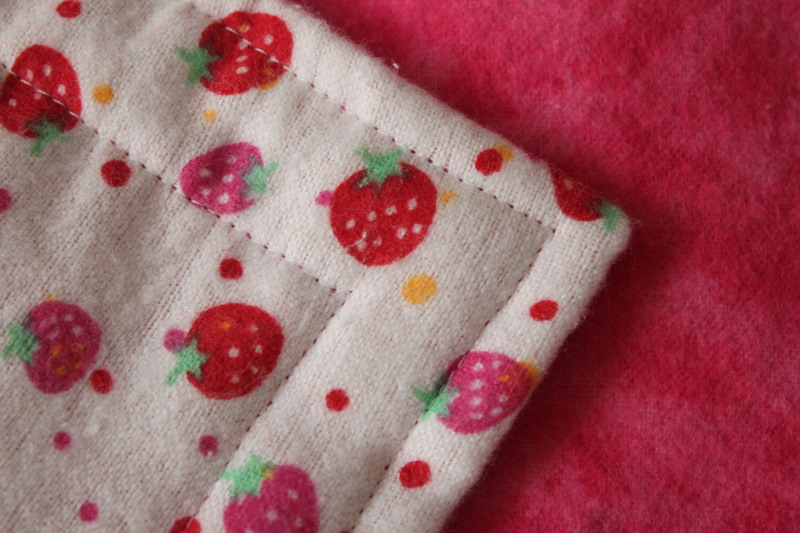 To be clear, all I did with the bear was sew on buttons & the bow, but I chose colors to match the strawberry blanket. I think this duo turned out quite cute! 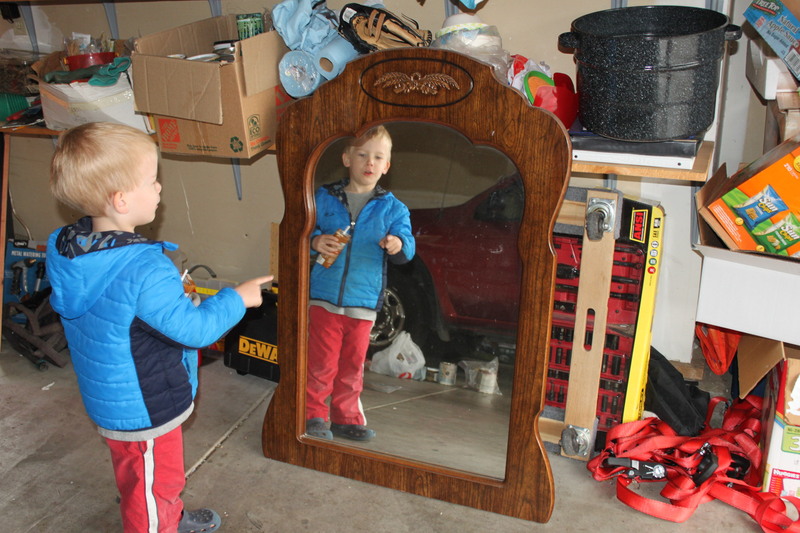 This is a mirror that has resided in my garage for almost a year. I swiped it from my sister-in-law’s garage sale items last summer. 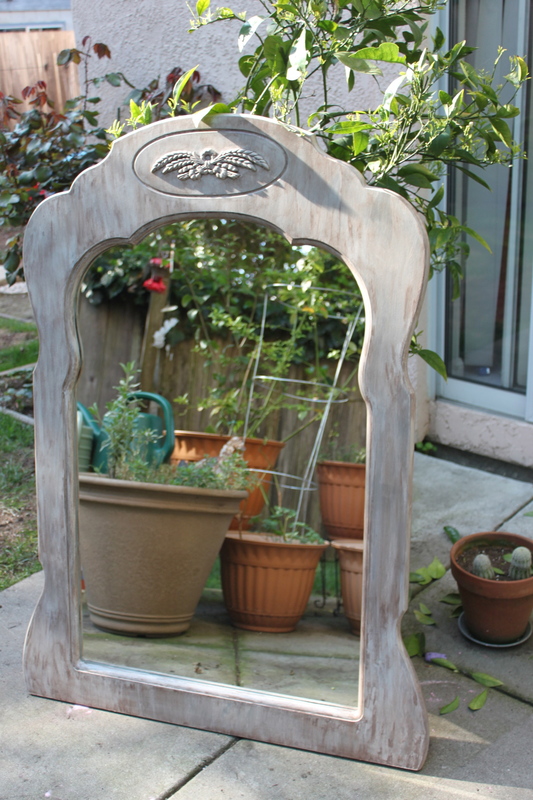 Originally it was attached to a long dresser, and I don’t need another dresser…thus I took the mirror alone. I like that its big, but I don’t like how dark it is. 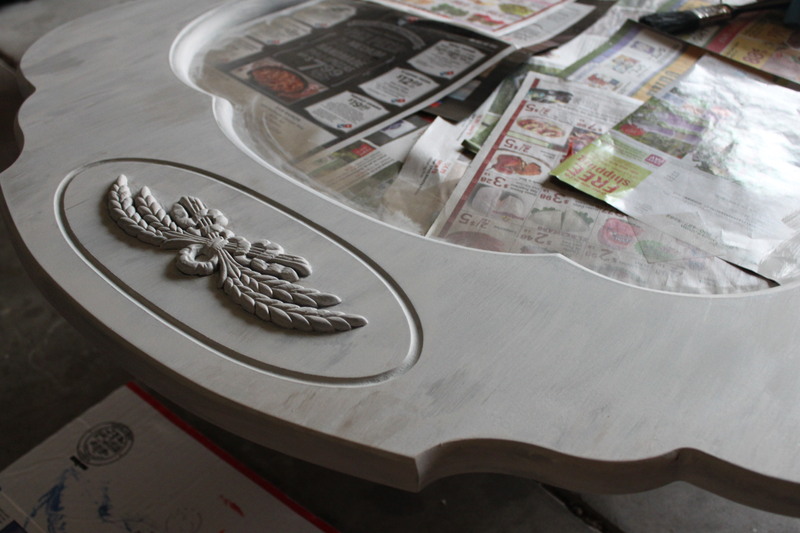 I decided to refinish it using a compilation of techniques from my own past experience upcycling Craigslist furniture, and one of the paint techniques Cyndy uses on The Creativity Exchange. 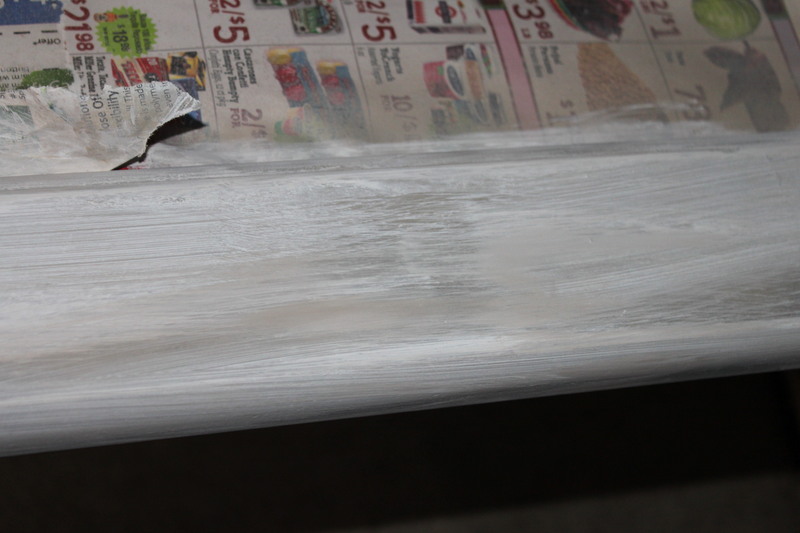 After priming the wood, I mixed spray paint & some acrylic in a bowl & applied it with my finger. I wore a latex glove because I didn’t feel like getting paint all over my fingernails & skin creases. If I didn’t like how it went on, I just added/smeared/mixed paint until it pleased my eye. The wheat at the top of the mirror looks so much better with its lighter look! 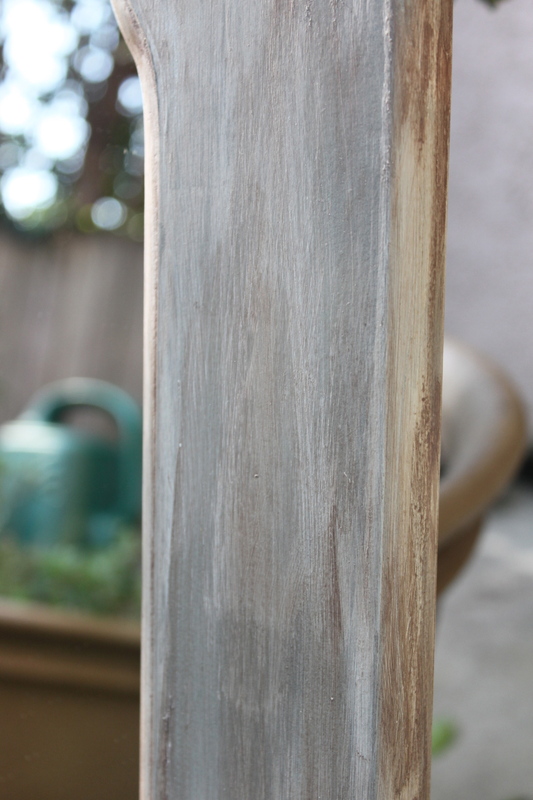 After fingerpainting the mirror with my multi-tone paint, I mixed some wood stain with some light colored acrylic. This I applied with a cheap sponge brush, and after about a minute rubbed it off. I rubbed it with varying degrees of pressure to get a bit of a worn look. Thomas thought it looked like fun, so he joined in with me on this part—he did the part in the photo below, and I think it looks amazing–just like birch bark! After it was entirely dry, I lightly went over it with sandpaper. I think it looks pretty good! 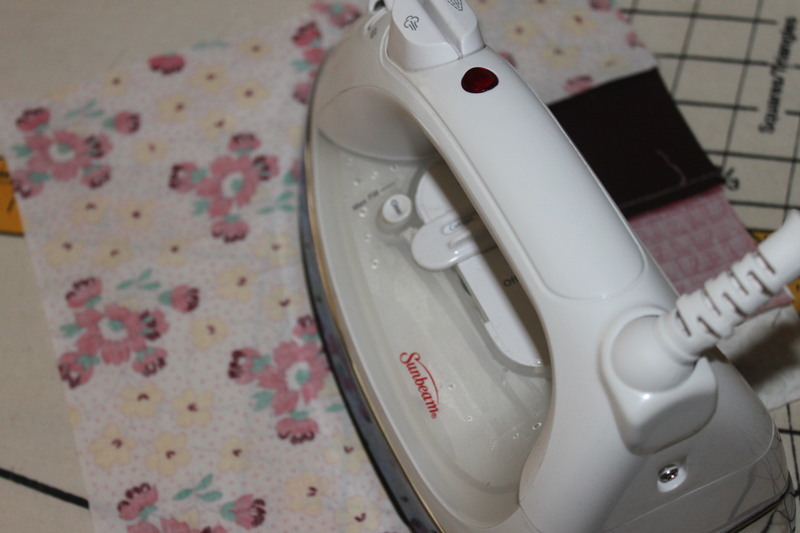 I am still deciding where to put it, but I like the fact that if I get tired of it looking like this, a new coat of paint will give it a complete makeover. 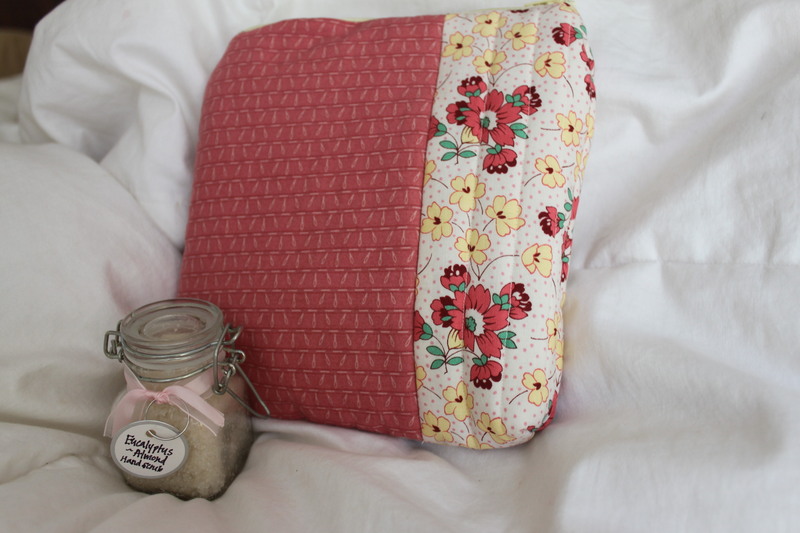 DIY projects are so worth it! 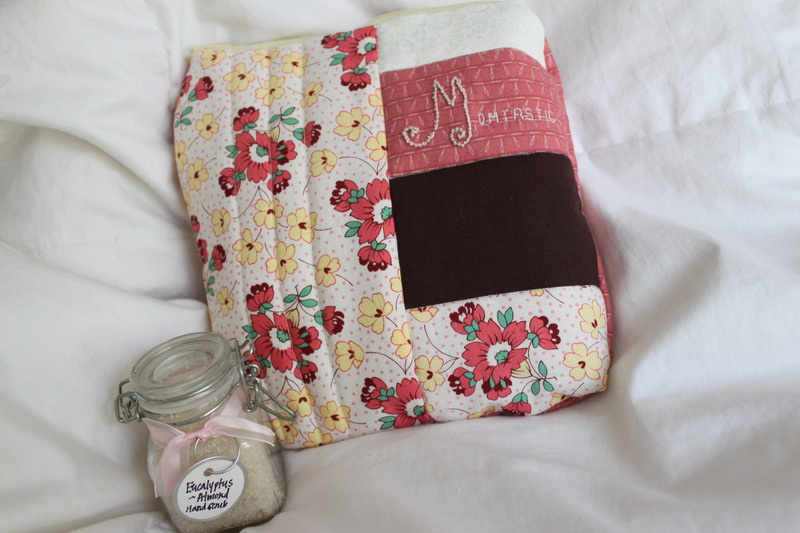 My recipient was Tabitha of Momtastic Stitchery. 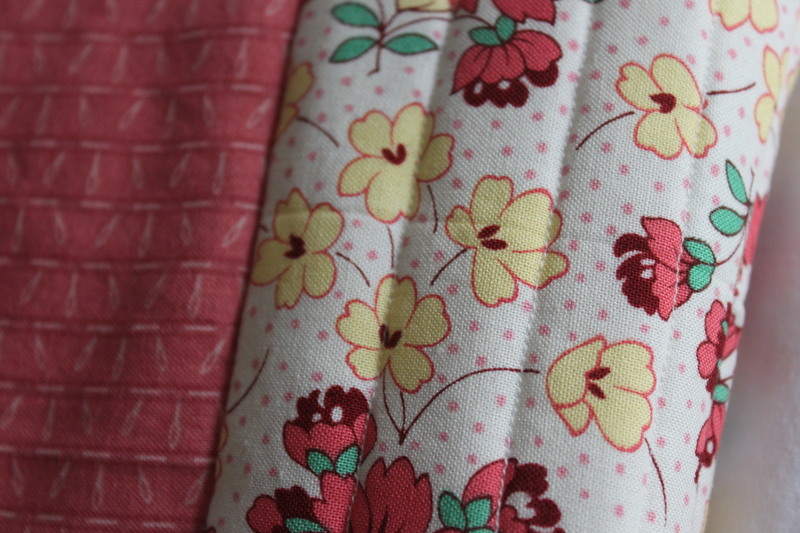 I knew when I saw who I was giving to that I would need to do something with a little hand sewing on it. 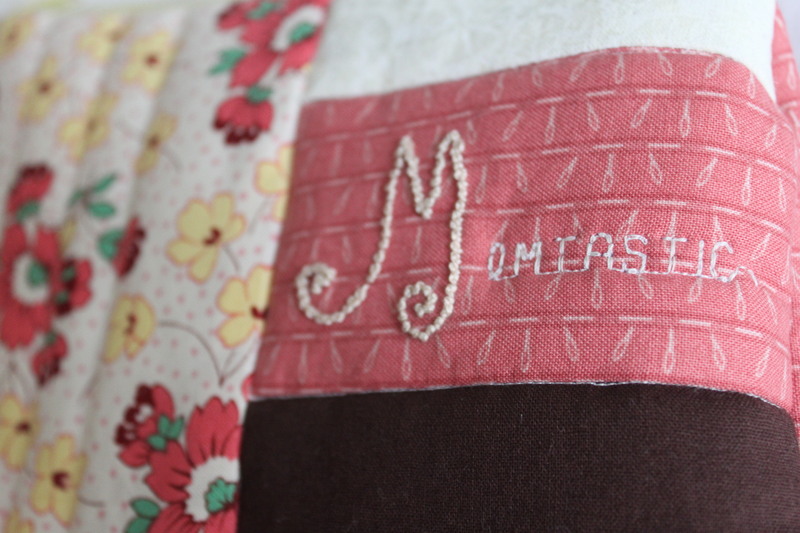 There are approximately 70 french knots in that M! I took the following photo intending to post it a week or so ago, but then decided not to since it shows the front of the pouch and someone could potentially guess what it would be. 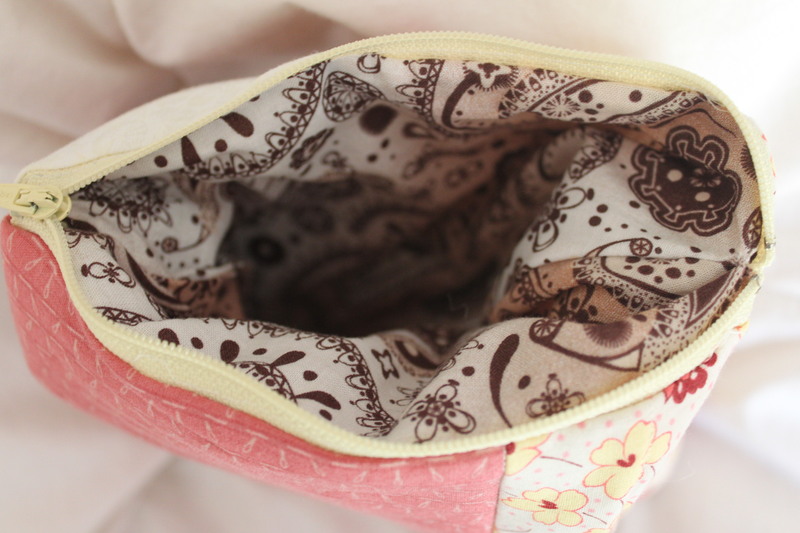 Maybe I was being paranoid though because now I’m wondering how on earth someone would guess that this would be a pouch front? 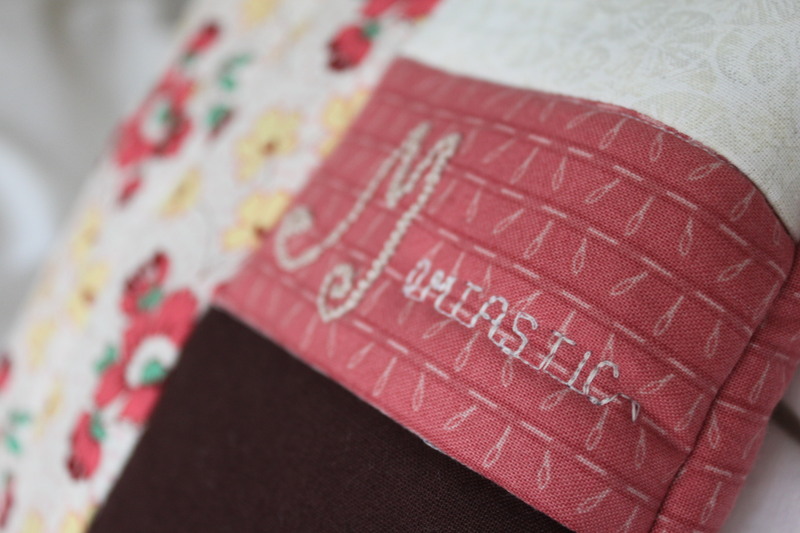 The lettering is a bit of a pun on Momtastic Stitchery. Why write the word ‘stitchery’ when its written in stitches?? Another post to come on how I made the hand scrub.